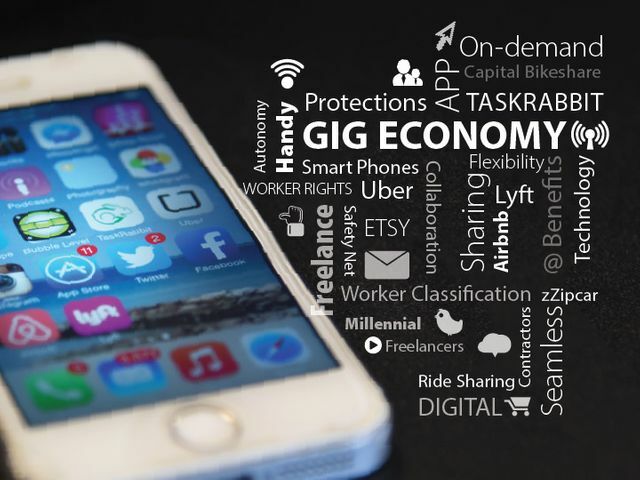 There has been another call for clarity on employment status in the gig economy, this time from the Institute of Directors which represents 30,000 business leaders, 75% of whom would like clearer legal definitions of the terms "employee", "worker" and "self-employed". The IoD's recent briefing paper "The Future of Flexible Work" has called for the government to introduce new policies to "make sure the changing jobs market works for everyone" and remove the confusion. Recommendations include introducing an online portal with guidance on employment rights and benefits so that gig economy workers can determine their rights, alongside the HMRC online tool for determining employment tax status. The issue is becoming pressing for businesses engaging workers on a self-employed basis who may find themselves liable for backdated employee or worker rights. This includes holiday pay, which the Advocate-General has recently advised the European Court should be carried over for any period in which the employer does not provide a facility for payment for holiday entitlement, allowing the worker to make a claim upon termination of employment for the full leave entitlement. The Advocate-General acknowledged the "acute social importance" of the issues in the case at hand, given the rise of flexible, casual and intermittent work in the provision of services through digital platforms, in the age of the internet. At the end of 2016, the government appointed Matthew Taylor, chief executive of the RSA, to head up a review of “Employment practices in the modern economy”. Matthew Taylor has said, during the course of his review, that there is evidence that businesses are using self-employment laws and engaging "so-called gig workers" to avoid tax. Businesses can save with these models because they do not pay employers' national insurance contributions and generally don't pay holiday and sick pay entitlements on the basis that the individuals are "self-employed". Whilst acknowledging that there may be reasons why this is a good thing in terms of the way people are working - presumably a reference to the advantages of flexibility - Mr Taylor was clear that, to a certain extent, people and businesses are creating forms of work to try to avoid tax. His report is expected this summer. The IoD, which represents 30,000 business leaders, said that the growth in self-employment in recent years had created beneficial flexibility for individuals and companies, but measures were needed to reduce confusion over different employment statuses. When surveyed in April, three-quarters of IoD members said they would support clearer legal definitions of ‘worker’, and ‘employee’ and ‘self-employed’.